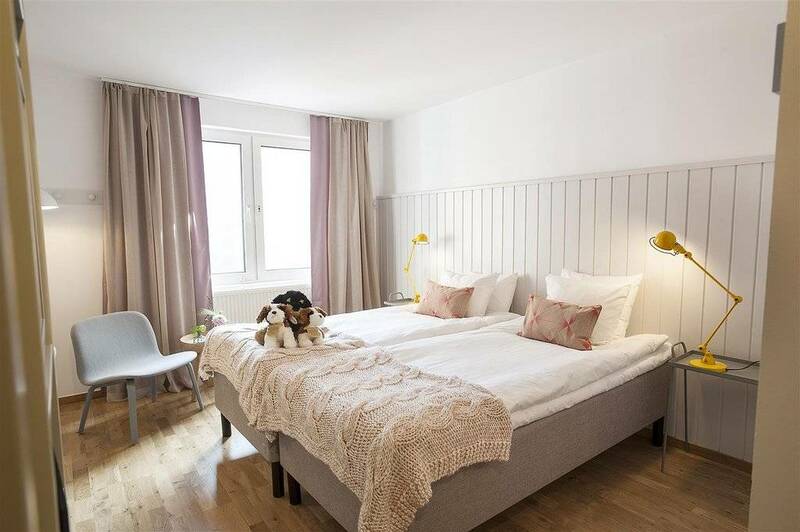 Seeking accommodation that is familiar, clean, modern and stylish for your next trip to Malmo? Well, you’ve indeed found it! Stay at this excellent four-star hotel near the center of town and indeed close by all the action. The Best Western Plus Hotel Noble House is close to the restaurants at Lilla Torg, and the best shopping areas are just outside the hotel doors. You’ll never be far away from what the city has to offer. The Best Western Plus Hotel Noble House has modernly styled rooms that are quite cozy and decorated with different and interested wallpapers, and beautiful artwork. The rooms also have fully tiled bathrooms. Their mascot, Turbo the dog, and his puppies will keep you company in every public place at your request. When you’ve tired out your feet after a whole day of shopping, you can relax with a cocktail in the bar or enjoy a meal in our restaurant on lobby level. If you wish to rest a while, you can use the sauna located on the 6th floor or treat yourself with beauty treatments at a nearby beauty school. You can borrow both bicycle and walking equipment at the front desk, so explore the city! Take a ride to all the nearby parks, the beautiful beach or famous building Turning Torso. The Best Western Plus Hotel Noble House is eco-labeled, smoke-free and offers complimentary fast Wi-fi Internet access throughout. If you are driving, they also offer onsite parking for 210 a day.